Growing up along Tobacco Road in North Carolina I had no idea what an HBCU really was all about. 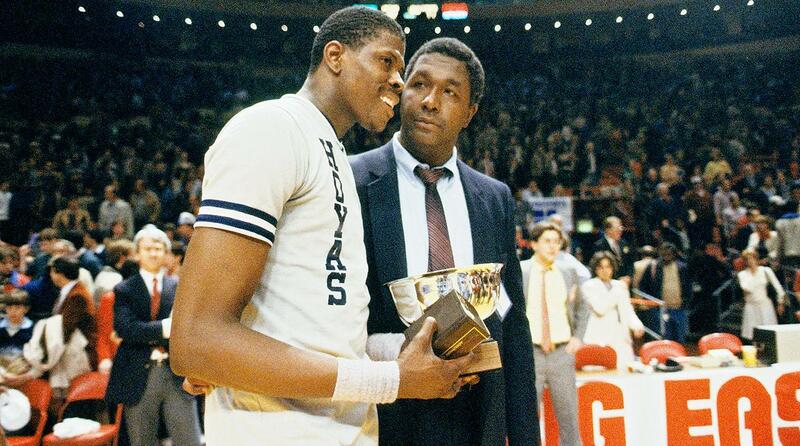 I was certain of one thing, however, whatever an HBCU was Georgetown Basketball was the king of them all. Like many people of my age, I was an uninformed child in the pre internet days, yes there was such a time. Now the golden gift of pretending, assuming and joking that Georgetown Basketball is an HBCU has returned. Back in the day the basketball team used to make me think Georgetown was an HBCU. They had John Thompson, an all black team & Kente Cloth! Twitter quickly jumped on the old joke on Tuesday when the Hoyas released their 2017-18 basketball schedule. In the span of roughly three weeks, the Hoyas will play host four schools from the MEAC. The SWAC gets in on the action as well when Alabama A&M hopes to be the Grinch who stole Christmas on December 23rd. Some critics are labeling the Hoyas schedule as “Cupcake City” and even suggested they could have at least played the “best” teams in the MEAC. Somewhere in Durham, LeVelle Moton is sighing. For the HBCU opponents, however, it does provide a chance for national television exposure. All of the games will be broadcast on the Fox family of networks. An upset by one of these five HBCUs might be improbable but not impossible. These haven’t exactly been your Father’s Hoyas for the last couple of seasons. As a gift for all of the entertainment first-year head coach Patrick Ewing gave us during the 1980s as our mythical HBCU hero, enjoy your free trial membership in the MEAC. Your card will not be billed.